This entry was posted on March 29, 2019 by The BuyaBattery Team. The batteries we use every day are created to make our lives easier. Perfect for portable devices and on-the-go electronic equipment, batteries allow us to use so many different things on a daily basis, including your laptop, smartphone and your watch. The world is continuing to move towards smaller gadgets and even more convenient devices for us to use on the move, including electronic toys, games, personal devices, medical instruments and other equipment. This has propelled an increase in the use of coin cell batteries, also known as button cell batteries, which can be made using alkaline or silver oxide. Other batteries of this kind include lithium coin cells. This type of battery has been made more popular thanks to an increased use of small electronic equipment. With that in mind, it’s no wonder that lithium sales grew 10% from 2017 to 2018. What’s the difference between button cell and lithium coin batteries? The different names are mostly down to the shape and size of the battery. Button cell batteries are thicker and round and look more like buttons. Button cells tend to be alkaline (1.5v) or silver oxide (1.55v), whilst lithium coin cells tend to be much thinner and these are marked 3v. A lot of lithium coin cells can look very similar often being the same diameter but with a slightly different thickness. It’s important to know which size you need. Lithium coin cells in particular have an easy way to recognise the size. Generally speaking, the name of each lithium coin cell will start with CR, followed by 4 numbers which denotes the diameter and thickness. For example; a CR2032 battery has a 20mm diameter and 3.2mm thickness. What are coin cell batteries used in? As we continue to use smaller gadgets, we need batteries that fit the devices. Coin cell and button cell batteries are hugely popular for use in equipment such as; calculators, car keys, remote controls, bank card readers, electronic games like Hexbugs, watches, Fitbit, digital scales and even digital thermometers. The list is endless! The benefits of lithium coin cell batteries are that they have a long life, along with a long shelf life. Their power to size ratio is huge. When buying lithium coin cells look out for multi pack deals as they will usually have a shelf life of 7-10 years. Some of the major manufacturers of coin cell batteries include GP, Duracell, Varta, Panasonic, Energizer and Renata. 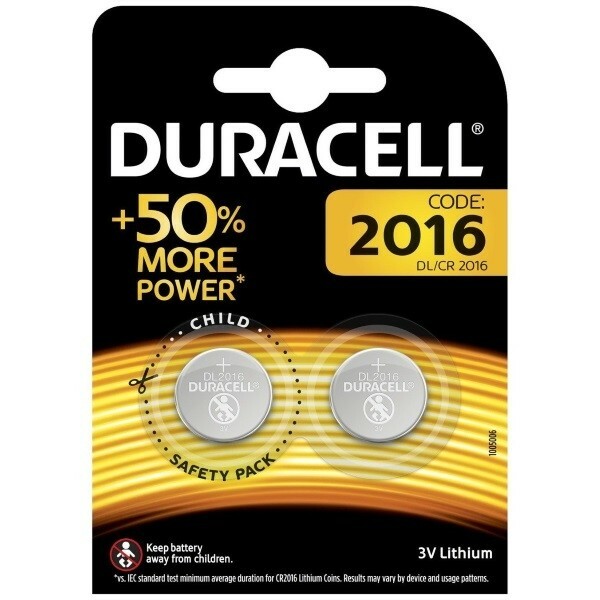 Please remember to keep all batteries out of the reach of children, most importantly these shiny small button cells and lithium coin cells.